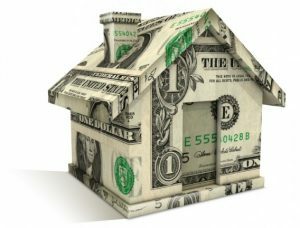 What affects your property values? What does affects your property values? There are some features that increase property values such as a remodeled bathroom, a modern kitchen, or a sought-after neighborhood. Here are a few features listed and circumstances that will help you realize what can affect your property values. 1. The neighbors: Not every neighborhood or community has an HOA that can keep the neighbors from going overboard with decorations or neglecting to care for their home. There are some homes that will be next to crazy neighbors, which could make a home potentially undervalued. 3. Mature trees: Having a big beautiful tree in the front yard not something that can be easily added to any home. Homes with mature trees tend to get a little boost in value. 4. Parking: This isn’t too much of an issue if you live in the suburbs or in a rural area, but residents in dense cities can have real problems with parking. Homeowners might need to rent a spot just to guarantee a place to park each night. That’s why having guaranteed parking in urban areas will raise property values. Contact me at Jesse Allen Homes for a FREE, no obligation Comparative Market Analysis. This entry was tagged FREE Market Analysis, Home Values, Jesse Allen Homes Greenville NC. Bookmark the permalink. Jesse Allen Homes Expands it’s Services!